It is not the religion, Islam, but the follower of that religion, Muslims, who are the victims of social, political and economic discrimination by most Hindus, including even those who are not members of militant right-wing Hindutva parties and organizations. There is so much overt and covert anti-Muslim hatred and enmity towards the Indian Muslims that things look quite abysmal and bleak for these marginalized people now and in the future. The discrimination against Muslims was a big reason for her to take up her next film ‘Mulk’, Taapsee Pannu said. MUMBAI (PTI) — It is “very disturbing” to see a particular community being targeted in the country, says actor Taapsee Pannu, whose latest film “Mulk” centres around a Muslim family caught in a terror plot. “… my life is run by them. It’s very disturbing to realise that a particular religion is being targeted,” she told reporters at the trailer launch of the film. “If I were to feel disturbed in their presence then I would be disturbed whole day and night because my life is run by them. It’s very disturbing to realise that a particular religion is being targeted. These people are inseparable to me. So this was a big reason for me to do the film. I thought if someone has to stand up then I would like to take that responsibility. This fear and this disturbance in my mind, I vented it all out through this film,” she said. Directed by Anubhav Sinha, “Mulk” is a courtroom drama that also features Rishi Kapoor, Neena Gupta, Rajat Kapoor, Manoj Pahwa, Kumud Mishra and Ashutosh Rana. “This (the discrimination) was a big reason for me to do the film. (I thought) if someone has to stand up then I would like to take that responsibility,” she said. Mr Sinha, who was also present at the event, said the team thought they were swimming against the tide when the film started out. But the positive response to the trailer has vindicated their stand. 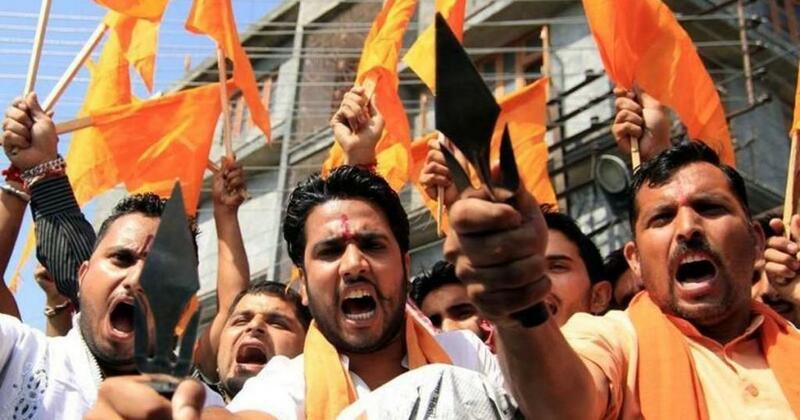 “It’s not about Hindu-Muslims, we have had these clashes before. It’s such a diverse country, everybody has fought everybody. Hindus have fought Muslims, Sikhs have fought Hindus, Shias have fought Sunnis, Brahmins have fought Thakurs,” he said while discussing his film.